How many of us would like to bring glory to God? As followers of Christ, we want to please him- not for approval. He accepts us and our sins are nailed to the cross. We are not trying to improve our standing in any way. The objective is in Matthew 5:16- “let your light shine before others, that they may see your good deeds and glorify your Father in heaven”. We have been uniquely selected to glorify God. It is a great privilege. In the catwalks of the world, there are all these models who model different creations. If they display the outfits of a famous house, they call them supermodels. Out there, there are a lot of women who want to be super models. God has chosen you to be a super model for him. Q. How can we produce these good deeds? Families pass on a lot of things to children, hair, nose, etc. But one thing parents must be careful to pass on to our children is the life-giving gospel. Timothy from an early age had access to the scriptures. We are very careful not to accept or eat any food from strangers. But what about spiritual food? We take it gladly from different sources. One test is- you know those from whom you’ve learnt it. When you receive something from someone, ask what is this person like, what is their life? The next thing is, a lot of religions saying their book is God’s word. But only the Bible is the infallible, inerrant word of God. Apart from the word, we will not be saved. 1. God is glorified in our salvation. We were saved because we heard the word of God and changed our hatred of God into love of God. Salvation can only come through the word of God. If a person who did not know Christ came to you and asked you, how can I be saved, would you be able to explain it to them? We have the gospel! We must be able to explain it to them and lead them to Jesus. It’s like a doctor who developed a cure for cancer. But if he can’t administer it, it is useless. We’ve got the cure for eternal damnation. 2. 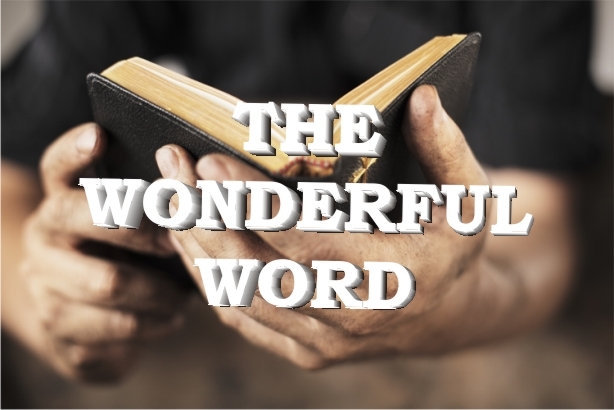 The words in the Bible are the very words of God. They are inspired by God. It has life-transforming power. Use the word when you speak to people and pray for people. If it is written in the Bible, it is true. Our understanding might be faulty, but the Bible is true. 3. We want to produce good deeds for glorifying God. From 2 Tim 3:16 we see that we need to engage in God’s word, with the spirit of God, which teaches, rebukes and trains us and thoroughly prepares us for every good work. a. Teaching and rebuking relate to our conduct. Teaching is the whole content of the word of God. Paul publicly reached and went from house to house teaching the word of God. The Bible is so simple that a child in Sunday school can understand it, but it is so deep that the great theologians can’t figure it out. b. Rebuking- shows us where we are wrong. As we read the word, the Holy Spirit will convict us of things that are wrong. Col 3: 5 “ Put to death, therefore, whatever belongs to your earthly nature: sexual immorality, impurity, lust, evil desires and greed, which is idolatry. 6 Because of these, the wrath of God is coming. [b] 7 You used to walk in these ways, in the life you once lived. 8 But now you must also rid yourselves of all such things as these: anger, rage, malice, slander,and filthy language from your lips. 9 Do not lie to each other, since you have taken off your old self with its practices 10 and have put on the new self, which is being renewed in knowledge in the image of its Creator.” Paul is writing to believers. The Holy spirit will convict us of these things. Hebrews- the word can go so deep within us that it judges not only our actions, but our thoughts, even our attitudes. c. Corrects- the word straightens us out, puts us together. d. Training- as we look to the word, God shows us the right way to live. This is the word to teach a child. We don’t get it right at first. The most common sin in India is coming late- IST. It takes years to change it. That’s the training. The end result is that we will be thoroughly equipped for every good work. Are you willing to put on those good deeds in order to glorify him? 2. Read the word. Have a Bible reading plan. It is God breathed. 3. Studying the word. What does it mean? 4. Memorising the word. Can you recite anything other than John 3:16? We need to store the word within us. 5. Meditating on the word. Thinking about it. How does it apply to me? As we do these things, God will transform us and equip us for every good deed. We have many symbols for Valentine’s day vi z hearts, red roses, hearts with arrows etc. Some of the greatest gifts of love in history are the eat Taj Mahal built by ShahJehan for Mumtaaaz. The Rose cut diamond given by a count Grigory Orlov to the Empress Catherine. Joe D (baseball legend) gave Marilyn Monroe a gift. 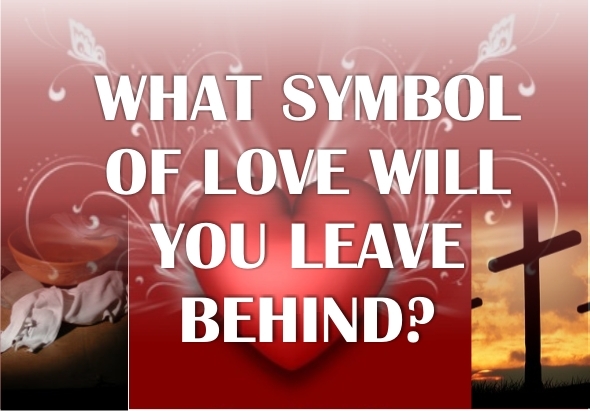 Today we talk about the greatest symbol of love. For us Christians we know it’s the Cross. But even before that there was another symbol. Before going to the cross Jesus expressed his love with another symbol – a towel and a bowl. It was radical and unheard of. Even today it is. Today we will talk about this love that was expressed. He set a supreme example of humility and love. The disciples and Jesus were walking toward Jerusalem. The disciples were pre occupied with who will be the greatest while Jesus was preoccupied with the cross. The Palestinian roads were very dusty. People wore sandals. So every house had a pot of water at the entrance so the servant could wash the guests’ feet. There was no servant in this house and they certainly would not wash each other’s feet! Jesus in doing that took the role of a slave/servant. 1. Verse1. He knew the purpose for which he had come would soon end. He was filled with love for these men. He wanted to teach them an important lesson in humility. He also loved them. He served them because he loved them. Even a Jewish servant was not expected to wash feet. This job was given to a gentile slave. And a master would never wash the feet of his disciples. He did the unexpected. He did not come to be served but to server. If we want to impact the world we need to serve him. What symbol /mark will we leave on society? Peter did not want Jesus to wash his feet. He did without the expectation of a reward. Do we volunteer to do things others are not willing to do? It was when Jesus was at the closest in his relationship with His father that he went farther in his love for man. He was holy yet stooped to the lowly. There is no one closer to man than the man closest to God. Our closeness to God should not alienate us from people but should draw us to serve them. 4. Jesus served those people knowing who they were. He washed the feet of Peter and Judas. He knew Peter would deny him and he knew Judas would plot betrayal. If anyone wants to be my disciple let him deny himself take up his cross and follow me. We also have a towel and the bowl. 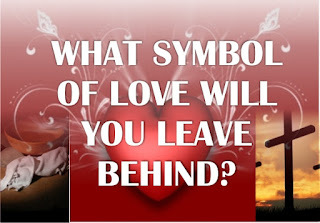 What is the symbol of love you and I will carry to the world? Let’s go and serve Him because his amazing inexpressible love. Ruth as we see her from Ruth 1: 1-18 is a very different character. Unlike Samson, she is someone to model our lives over. she is full of honesty, faithfulness and integrity. Proverbs 18:22- " He who finds a wife finds what is good and receives favor from the Lord"
Ruth is living in difficult days, when there was a famine in the land. The Israelites were in the cycle of disobedience and conquest. God is doing what he said he would do. Deuteronomy 28:15 "However, if you do not obey the Lord your God and do not carefully follow all his commands and decrees I am giving you today, all these curses will come on you and overtake you". Most people in Africa don't irrigate and are totally dependent on the rain. The rain was the blessing for the Israelites for obedience. God blesses obedience and holiness. when they move to this other land, all the men die- the misery continues. Naomi is in a foreign land with foreign daughters-in-law. In Ruth 1:20 Naomi says, “Don’t call me Naomi, ” she told them. “Call me Mara, because the Almighty has made my life very bitter. I went away full, but the Lord has brought me back empty. Why call me Naomi? The Lord has afflicted me; the Almighty has brought misfortune upon me.” We can find ourselves in such a situation. It seems like there is no way out and our experience is to think- Where is God? 2. the reality of God's discipline in our life- we believe in grace and all but God disciplines those he loves. that comes to shape us. It is not an Old Testament truth. God doesn't change. Israel won't be cut off. They are being disciplined. In times of tragedy, we need to work out if it is God or the devil. We need to examine ourselves- are there things in our life that need to be changed? God brings it up to us. Q. Are there things that God is saying to you to get in order? He loves us and he will discipline us. we don't always know why- Job did not know. There are times which require some tough decisions. Ruth makes a courageous decision and followed it through. Naomi is a bitter woman at this point and Ruth was prepared to stick with her. She has embraced new customs, faced new enemies. She was never going to return to her people. She trusted God. She decided to go after God who dealt with Naomi badly. Churches need to be filled with people like this. I think when we get to eternity, in the throne room of God, we will be surprised to see the people who are in the front. Ruth was a wife- widow- wife. She faithfully served God on fire. we need people who make decisions and stick by them. 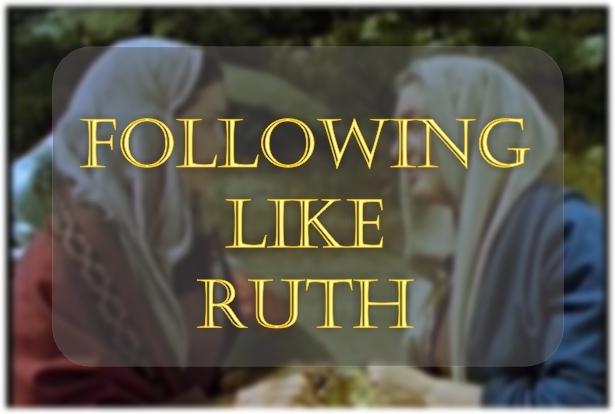 Ruth marries Boaz and becomes David's great grandmother. She is part of Jesus' ancestry. Her courage leads to all these things. Ruth did not know either. She had no prophetic word about what was going to happen. We need people who serve through the good and bad times. I hope you are not meeting attenders though it is important to meet like this. But do what Jesus wants us to do. We need to exercise a commitment to build the church. This is what Jesus is doing on this planet. We need to be added to the church. There are tough times that people go through. Jesus promised us a fight and in that fight we will get hurt. We need to be radically committed to the local church. Q. Are you reliable?- to be in Pune, to build the local church here even if this is as good as your life will ever get? Life consists in more than wealth- at the end of life. Q. Are you leading people to Jesus? That's the measure. Q. Where are you investing? You invest into where you are going. So all your belongings need to go into heaven. Let's give our lives for that which counts and not for that which burns. Sometimes, church can seem inconsequential. But Jesus is not building better schools, hospitals, etc. He is building the church. Q. Are you building the church? You need radical commitment to do that, without even knowing what is going to happen. Let's live according to the Bible and be ready to make difficult decisions. Ruth is an example to us- ready to make godly decisions- to extend the kingdom. If you are a leader you need to have people following you. Samson is a complex mixture of a man- Sexually promiscuous, violent man. But in Hebrews he is one of the heroes of the faith. This was a time of difficulty for people of Israel. At this point Israel was delivered Egypt and has entered the promise land. In Judges 1:6-7, we see that they begin to do the very thing God has asked them not to do. They began to intermarry and began to worship other Gods. This is a very low period for the people of Israel. We are in a similar time where the people of God need are required to rise up. In the promise land, the philistines were ruling over them and they have accepted it. God chose Samson because God wanted to fight. Samson is the only one who wants to fight, granted for wrong reasons, but was ready to pick a fight with the Philistines. Leadership can be lonely. We preach teams, we have eldership teams and we want build teams. But sometimes you can feel like the only person who is concerned about things. Israel was overwhelmed. If God did not choose the judges, they would have been totally ineffective and have assimilated with the others. We live in urgent times. If godly men and women don't fight, we can miss the thing we have been called into. He's coming back for his glorious church but we can be the generation that experiences a great downfall like the Israelites did at this point. If we are not careful, we can get overwhelmed by the vast majority of the population who are not Christians. It is tough for the gospel to enter some place, but in some places the gospel is also retreating. The gospel was thriving in different places at different times. Ephesus which was once a thriving center Christianity, is the presence Turkey where most of the population are confessing muslims. Around the world, the gospel is retreating. 98% of Indians are not confessing Christians. We are in urgent times and we have a God given task to go and spread the gospel. We need to take action. This is the time for Christians to fight. Judges 15: 14-15 " As he approached Lehi, the Philistines came toward him shouting. The Spirit of the Lord came powerfully upon him. The ropes on his arms became like charred flax, and the bindings dropped from his hands. 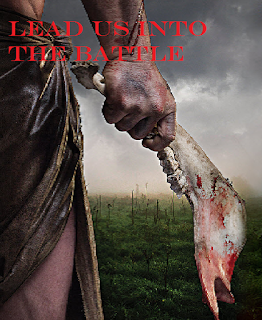 Finding a fresh jawbone of a donkey, he grabbed it and struck down a thousand men." God wanted someone ready for a fight. Although we cannot model our life according to everything Samson did, we need to model ourselves to have this fighting spirit. Fighting is the language of the church. To see nations changed we need to be a fighting people. We musn't be complacent. Ephesians 6:12- For our struggle is not against flesh and blood, but against the rulers, against the authorities, against the powers of this dark world and against the spiritual forces of evil in the heavenly realms" If you are followers of Christ, you have a battle and our battle is against the spiritual forces. We need leaders who will lead us into a battle- Men and women who just refuse to go along with the crowd. Q. Are you fighting? Are you a warrior? Our task is the discipling of all nations. Pune is just the beginning. It goes to the ends of the world. We need to do it in the power of the spirit. Samson did not look like a body builder. So they asked him- where does your strength come from? It is all in the power of the spirit. There is no other way to do it. Without the Holy Spirit, we will run out at some point. Q. Are you baptized in the Spirit? It is not just for experience. It is so that we can be powerful witnesses in the Spirit. Fight with holiness. We are to look like Jesus. Others need to ask us- why do you behave, speak, respond like that? we should be different from the people in the world. The Holy Spirit and holiness are not additional extras. They are essential. The grace of God is so extraordinary that my past sin, my present sin and the sins I will commit in the future have all been dealt with already at the cross. It is amazing! But let not this glorious truth lead us into careless living. Samson loses his power because of lack of holiness. His hair was merely a picture. We need to pray. We trust God to do something. We need to have solid times of seeking God for him to do what only he can do. we are all called to pray. Let's give all that we've got. Samson says, let me die with the philistines. When Samson is holding the pillars, and giving up his life for the sake of his people, it is intentional that he looks like Jesus. He is a shadow of who was going to die on the cross for the sake of God's chosen people. We are called to die- to give all that we've got. Q. What have you got? God gives us everything we have to serve him and to give him absolutely everything. Jesus says, lose your life for my sake and you'll have it abundantly. Don't perish, have eternal life.